The heartbroken family of a severely disabled girl who would have celebrated her tenth birthday on Christmas Day, say they have lost their little angel after she died during an operation in England last month. Meabh McDermott, who suffered from the extremely rare neurological disorder Rett Syndrome, died on Monday, November 28 during surgery in England to repair her spine. The brave nine year old, who was a pupil of Glenveagh Special School in South Belfast lived in the Oldpark. She was diagnosed with the devastating disorder just before her second birthday. Meabh was unable to walk or feed herself and her condition required her to have round the clock care – mostly from her devoted family. The extremely rare condition has only 28 recorded cases in the whole of the North. Speaking to the Belfast Media Group this week her devastated mum Helen Gillespie paid tribute to her brave little daughter. “Meabh taught us patience and she taught us unconditional love. It was a privilege to have known and loved her,” she said. Meabh’s health team had been preparing her for the complex spinal surgery for two years, and in late November she travelled to the Royal National Orthopaedic Hospital in Stanmore near Watford for the operation. Tragically her potassium levels dropped and her heart stopped while she was on the operating table. Despite her debilitating condition Helen said Meabh was a the heart and soul of the family, even describing her as a heartbreaker who had an eye for the men and had two boys fighting over her at school. However the true love of her life was her big brother and godfather John who devoted much of his time to caring for his sister. 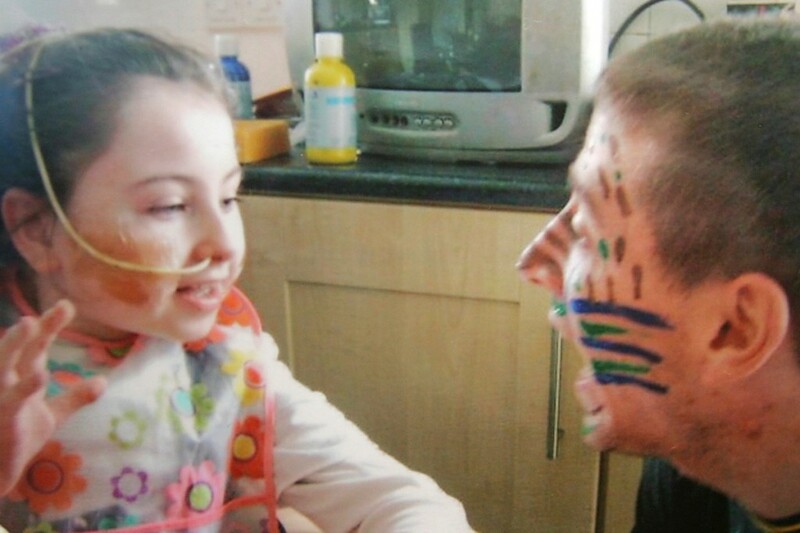 Her devoted mum recalled first being told of Meabh’s condition when she was just a toddler. Meabh is survived by her mum Helen, stepdad Frankie Dillon, brothers John and Peter and sisters Alicia and Leanne.